When Maddie Fraser’s father was killed fighting for Bonnie Prince Charles, the spirited Scottish lass swore to avenge his death. Hooded and disguised, she led a series of daring raids against the forces of the Crown—vowing to love no man until the English invaders were driven from her native soil. 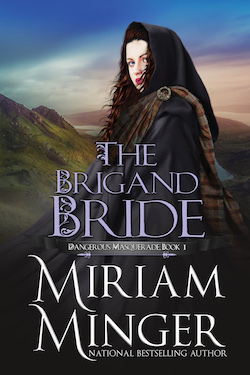 Captain Garrett Marshall was entrusted with the capture of the mysterious brigand called “Black Jack.” But the sensuous, azure-eyed beauty hidden beneath the bandit’s manly garb tested Garrett’s loyalty to his King. Inflamed by a desire he could not ignore, the handsome officer would wed his bewitching enemy to save her from the gallows. But first he’d have to quell her hatred…and conquer her heart.